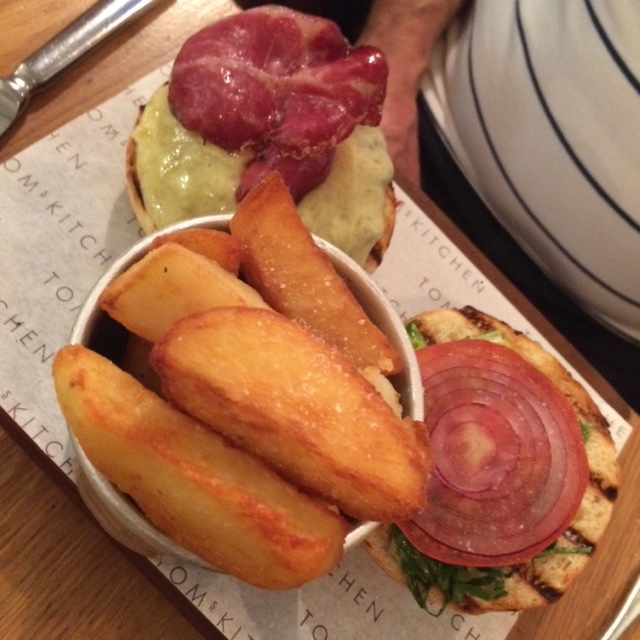 Tom’s Kitchen is one of those homely restaurants, almost with a pub feel, serving nice food you can count on. It’s basically where I want to go when I don’t want to go to a fancy restaurant. And it was exactly where my parents and I wanted to go on their last evening in town in September, when we after a long day of exploring London just wanted to sit down to a really nice meal but without the fuss. It was fairly quiet at the restaurant that Sunday evening, but the staff was getting ready to pack the restaurant in boxes for refurbishment. 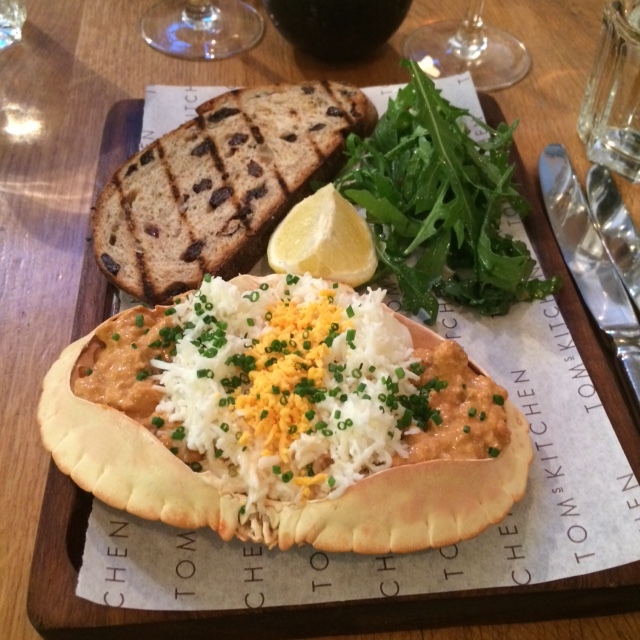 We started with a lovely dressed crab and toasted bread to start. We all love seafood and one each. Such a treat! Mum and I continued the seafood theme and had fried lemon sole with seaweed butter, with potato mash and spinach on the side. I forgot to take a picture, but the fish was truly lovely. I was just a bit annoyed as we had to wait about 10 minutes for the sides, and had to remind the staff. But once it had all arrived on the table we had a lovely meal. Dad had the burger, which is really really nice, and enjoyed it immensely! The service could have been a bit more focused this evening, but the food was great!